Hospitals and health care clinics in both rural and urban areas still find mobile MRI, PET/CT, and CT to be a valuable complement to the fixed imaging modalities they offer. A market report published by Transparency Market Research, "Mobile Imaging Services Market — Global Industry Analysis, Size, Share, Growth, Trends and Forecast 2014-2020," notes the global mobile imaging services market was valued at $10.7 billion in 2013 and is projected to grow at 3.2% annually to $13.3 billion by 2020. Rich Jones, president of Alliance Radiology in Overland Park, Kansas, notes that mobile imaging has long provided the access and diversification that hospitals and health care providers need to support a wide range of care delivery models and growth strategies. "What's new and buzzworthy this year is really centered around the technologies augmenting mobile imaging to improve quality and patient safety and the ways in which mobile imaging is being used to support broader care strategies," he says. 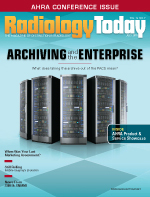 Jones notes that Alliance's RAD360 is a new and innovative end-to-end radiology solution designed to combine the financial strength, technology expertise, and quality/compliance excellence to support a hospital's radiology service line. "It offers proven, best-in-class infrastructure and service line solutions that drive improved quality; operational effectiveness and efficiencies; scheduling, billing and revenue cycle management; market analytics and performance monitoring; and demand generation marketing that helps hospitals and health systems understand how the industry and markets are shifting and stay ahead of the curve," Jones says. "With our RAD360 solution, partner hospitals are seeing double-digit increases in volume, operational performance, patient satisfaction, market share capture, and overall service line growth." According to Jones, mobile imaging's biggest advantages are that it offers scalability and risk mitigation to organizations looking to improve care access and care delivery and support expansion initiatives. "Scalability, because a mobile imaging solution offers the flexibility and agility to address any type of demand or volume—from just a few hours per day to seven days a week—in virtually any location," Jones says. "Risk mitigation, because mobile imaging affords a win-win solution that allows a hospital provider to offer the most advanced technology and imaging services when and where they need it without expending the up-front capital required to purchase equipment outright. This leaves their capital free for other growth and operating initiatives." One recent development in the mobile industry is that Oxford Instruments Healthcare purchased Medical Imaging Resources and plans to broaden the former company's offerings to take advantage of increased mobile imaging opportunities. Jeff Fall, president of Oxford Instruments Healthcare, says one trend the company sees is a high demand for wide-bore mobile MRI systems. "Mobile systems [require] less expense to site than fixed-site systems," Fall says. "An additional advantage is that they give the health care provider more flexibility to change or upgrade their technology when needed." James Varcarolis, senior vice president and general manager of the mobile division at Insight Imaging in Minneapolis, says over the last year and a half, there's been a lot of talk about the best way to use mobile in different communities. "It's really refreshing because we went through a period where it dwindled and we had some lean years," Varcarolis says. "Technology is changing and there's more coverage from the Affordable Care Act, so all of that has been good news on the mobile imaging side." That said, Varcarolis still believes there needs to be more consolidation in the market when it comes to providers. In the PET/CT realm, Jones says Alliance Radiology offers the latest generation of scanners that provide higher sensitivity and a larger axial field-of-view. "We're seeing great success with our hospital customers who are taking advantage of this offering and its benefits across the cancer care continuum—from diagnosis and staging to treatment planning and assessment," Jones says. Varcarolis says on the PET/CT side, the company sees it as a growth market and is focused on compliance issues and regulatory changes shaping the industry. "The modality is exciting. If you can image cancer on a molecular level, that's unbelievable," he adds. "We're seeing new codes get introduced, plus expanded coverage and volume growth. Sodium fluoride F-18 [PET/CT] was just approved, which is a way of doing a bone scan on a PET/CT unit that has so much more detail than you would see on a bone scan." For mobile CT, Jones says facilities are using mobile units to continue providing onsite CT services while their existing CT scanners are upgraded to comply with the National Electrical Manufacturers Association (NEMA) XR-29 standard's dose optimization features. The Protecting Access to Medicare Act (HR 4302) of 2014 requires freestanding imaging centers, physician offices, and hospitals accepting Medicare patients to meet the NEMA XR-29 Smart Dose Standard for dose optimization and management on CT exams, or be subjected to penalties in the form of reduced reimbursement levels of 5% in 2016 and up to 15% in 2017. "Since our mobile CT units are already XR-29 compliant, Alliance Radiology provides an easy way for existing facilities and providers that need to upgrade their CT equipment to continue providing high-quality CT scans at their facility locations that meet the new radiation dose optimization standards for improved patient safety," Jones says. "Ultimately, upgrading CT scanners to meet the XR-29 standard is not only smart dosing, but it's also smart business, as it can measurably improve patient safety and the quality of care by limiting the amount of radiation to the minimum necessary; beneficially increasing clinical documentation and transparency to further meaningful use; boosting operational efficiencies via automatic checking, adjusting, and documentation of radiation dose and exposure; and ensuring financial well-being by avoiding reimbursement reduction penalties," Jones adds. With mobile MRI, Jones says the buzz in 2015 is about the increased access to wide bore technology that provides the flexible support hospitals and providers need to supplement existing imaging services in highly competitive markets, to test new services and enter new markets, and to increase volume in high-demand markets. "Recently, a hospital customer in the northeast used our mobile imaging services as part of a broader growth strategy targeted at building out their service line coverage in a new geography," Jones says. "We stationed a mobile MRI unit at a clinic they had recently acquired to augment the services provided at the clinic and further develop the local demand for medical imaging services in this newly entered market. This affords the hospital the ability to provide medical imaging services at the new location, to better serve patients receiving care at the newly acquired clinic, and to benchmark volume to establish an outpatient radiology center there in the future to expand the hospitals network and reach." Mobile imaging and the way that hospitals and health care systems are using the technology have seen drastic changes in the last decade. While the industry may have started with imaging scanners on trucks to provide services for places that didn't have the volume to support buying their own equipment, it has evolved over time. In many circumstances, the traditional case still applies for PET/CT primarily because of clinical indications and payer coverage restrictions that have kept both demand and volume low for this modality. But, for MRI and CT, it has evolved into a way to augment or supplement in-house services, and test and develop new markets and geographies for growth and expansion. According to the Transparency Market Research report, rising patient inflow and longer waiting times have created a need for hospitals to seek other alternatives. "Hiring mobile medical imaging devices for variable time periods to reduce waiting times reduces the financial burden on hospitals and simultaneously provides better health care services," the report authors wrote. "These mobile units also serve a need in case of breakdown, replacement, or upgrading of existing fixed site machines." Varcarolis says hospitals today are using mobile as a supplemental strategy to address backlogs and reduce long appointment wait times, as an alternative strategy to incorporate new, advanced technology or drive a differentiated service offering, and as a growth strategy to expand services into new areas or build volume before establishing or transitioning to fixed outpatient operations. He feels there still exists a misnomer that mobile services are different or provide less quality. In some places, the Affordable Care Act and other reforms have created new demand for imaging services. Some health care providers are using mobile systems to meet the increase in demand. "In urban settings, we see mobile imaging units being used as a way to manage overflow. In rural settings, we see mobiles being used primarily to keep down the cost of providing these types of imaging services," Fall says. "As a result of the Affordable Care Act and the additional demand it creates, we will use mobile systems to efficiently address the increased demand for imaging services." At Alliance, Jones says the company foresees the future of mobile imaging to be more strategic than tactical. "We're already seeing mobile imaging emerge as a key operational strategy to proactively improve access, enhance care delivery and pave the way for growth and expansion," he says. "And, while it will still be used as a tactical response to react to changing market conditions and address demand and volume fluxes, we see this as less of a driving factor as hospitals [try to] get in front of market forces through strategic service line initiatives." For hospitals, Jones sees mobile imaging expanding as a tool for forward-looking business/service line strategies health care organizations are considering to improve operations, increase volume, mitigate risks, build networks, and expand services and markets.